I was having a down day today. Actually, I've been having a down week this week. Being a mom is hard. Keeping this place clean is mind-numbingly monotonous and boring. Sometimes it just gets old. Add to that the fact that my wonderful husband naturally has much higher standards of tidiness than I do. This super tidy husband of mine is extremely busy with school right now, but if I don't get things clean during the day he will come home and compulsively clean like a madman, neglecting his more pressing tasks like homework because he just can't focus on anything else until our home is clean. 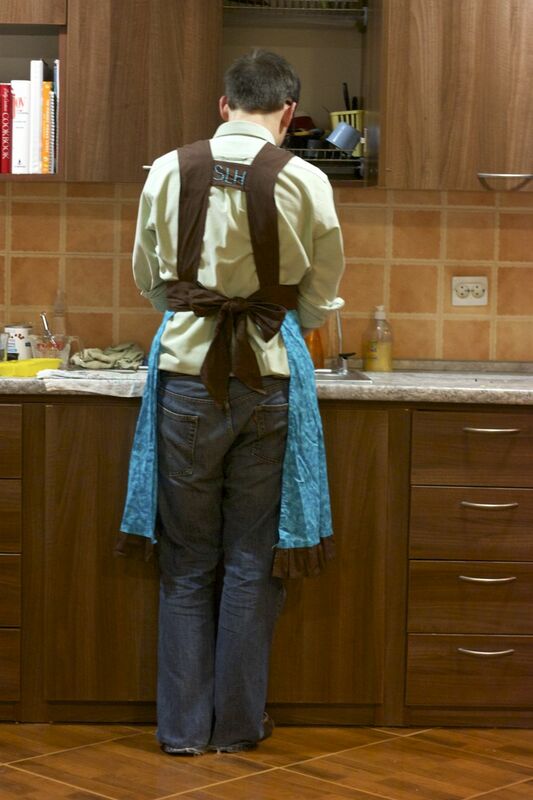 An old picture from Moldova, but I love that he put on my apron to do the dishes. I often feel like I can either be a good mom or a good housekeeper, but not both in the same day. Lately, I haven't been much of either. "Let's be honest. It isn't easy being here with Jude, but if it were you here, you'd find a way to have the place spotless every day. I just... ugh. This is hard for me. 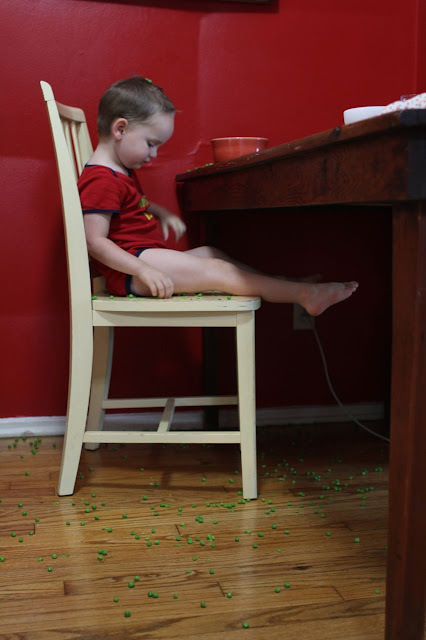 Maybe I'm not cut out to be a stay at home mom." "You are cut out for it because God has called you to it. If he has called you then he will enable you also. That doesn't mean it will be easy or you will do it perfectly, but that does mean that you can please and glorify him in it." Jude certainly doesn't make it easy to keep this place clean. That was exactly what I needed to hear. So short, but so nourishing to my weary soul. Yep. I'm still learning. Have a feeling I always will be. I'm so thankful for my Godly husband who doesn't let me wallow in my sin, but always points me to Christ. And I'm going to dig out my copy of Womanly Dominion and re-read it for the third time. It is such an encouraging and inspiring book. I highly recommend it to anyone who is struggling with finding joy and satisfaction in being a wife and mother. And be encouraged by my husband's text. God can and will enable you to please and glorify him in whatever he has called you to do, no matter how hard it is. Thank you for your post! I've been frustrated the past few weeks because I never feel like I can keep up with anything! I think about y'all often. I think you should make a plaque with your hubby's encouraging text on it!! Big hugs! what an encouraging post; your honesty is refreshing and i pray you are continually encouraged, that times of refreshing will come. from blog posts i've read, you have the blessing of a husband supporting and loving you in accordance with God's will while living in a society that oftens seems to undermine the value of children and at home moms; even empty nesters. stand firm and know others support you in your "messy manger".